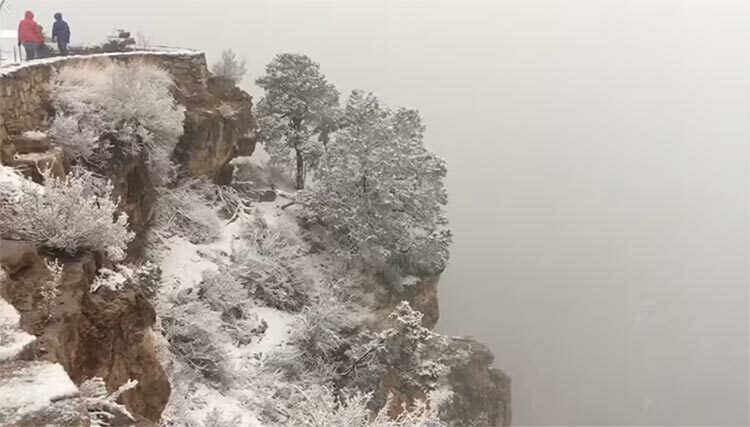 Weather across the country has been crazy this season, and Grand Canyon is no exception! By this time in spring, the worst we usually get is wind but with lots of sunshine. 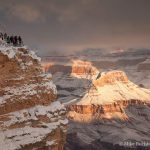 However, as of yesterday the 21st, snow flurries dominated the weather at the South Rim. Visitors were greeted with socked in conditions with nothing but fog below the rim. Last year on this date, the South Rim was enjoying temperatures in the low 60s. Today we are expecting to top out in the mid-40s! Brr…. It is supposed to clear up after today, but then ANOTHER storm moves in next week. This is very unusual weather for us as spring tends to be very dry. So if you are planning on visiting soon, please be well prepared for variable, and likely chilly, wet conditions. 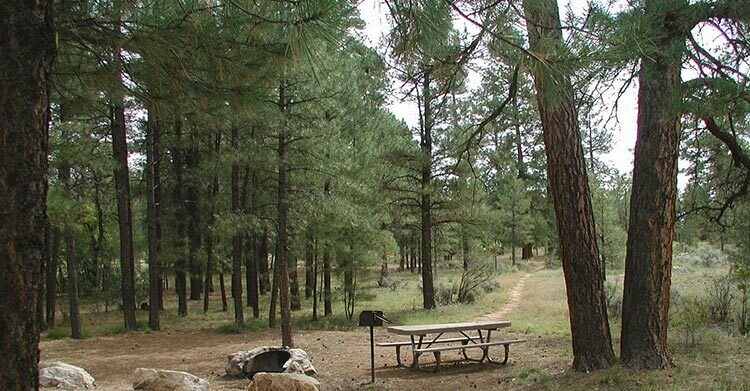 If you’ve driven up to the South Rim from either Williams or Flagstaff, you’ve passed the U.S. Forest Service’s Ten-X Campground south of Tusayan. You may have even stayed there. It is a very popular campground that fills up throughout the season. Ten-X is a 70-site campground that currently has both reserved and first-come, first-served single-unit sites as well as 2 group sites. It is situated amongst Ponderosa pines and Gambel oak trees and is open May through October. There is a proposal open for an expansion to Ten-X, and the Forest Service is asking for public comment. Comments are being accepted until no later than March 29th. 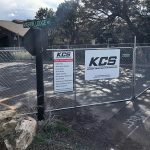 For more information on the campground and what is being proposed, visit Grand Canyon News article on the proposal: Kaibab National Forest seeks input on proposed expansion of Ten X campground. Chris Lehnertz is resigning as Grand Canyon superintendent even though she was completely cleared of all allegations. She has decided to leave the National Park Service to devote her efforts towards matters of importance to her, including women’s empowerment, social justice, and supporting families living with the challenges of Alzheimer’s. To read a more detailed article on Chris, visit National Park Traveler’s article here: UPDATED | Christine Lehnertz Resigns From The National Park Service.